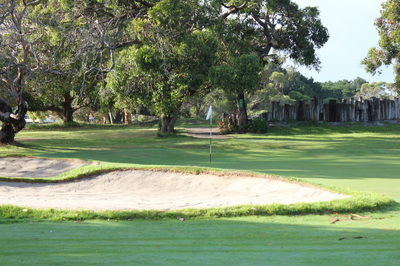 Portland's signature hole, a short par 3 guarded by a large bunker at the front of the green. 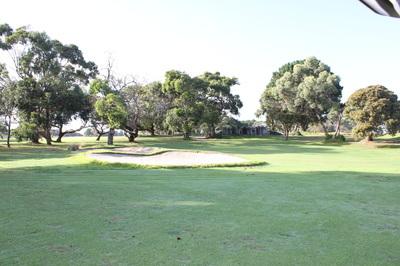 The ideal spot for your ball is in the middle of the green, below the hole. 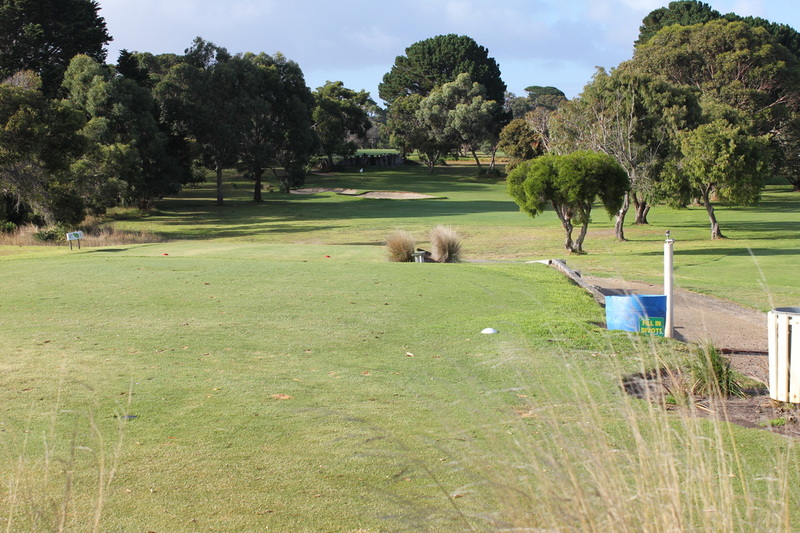 If you do miss, anything short or on the right hand side gives you a chance to make par. Long or left can make your par attempt very challenging. An uphill put will make life a lot easier as there are a number of very quick putts on this green from pin-high and above.